I am really excited about Shadows over Innistrad. The cards are all extremely evocative in terms of flavor, Madness is one of my favorite abilities, and moreover I love playing my games out of the graveyard. I’m also the kind of person who gets really excited by big swings in Standard, and I think that the new rotation schedule is going to be a huge benefit to the game in the long-term. Today is not going to be my end-all preview (because we are still missing way too many cards), and from what I’ve heard, we ARE going to be divvying up the eventual set reviews (I called dibs on Green a few weeks back, hopefully that pans out). I want to talk about a couple of the new cards that we have seen so far, as well as some older ones that may benefit from the change in scenery. Before we get going, I want to make a clarification that some of these cards will not themselves be cards worth buying low on, but rather they may be indicative of larger trends. Cards shape Standard regardless of rarity- things like Lightning Bolt can have a huge ripple effect regardless of the fact that the card itself may never go up significantly in price. These elements are tough to predict (unless they are super obvious like with Lightning Bolt), and often don’t present themselves until the entire set is revealed and played with for a little bit (typically around PT time). Assume that any commons or uncommons that we discuss today fit somewhere into this discussion. So, uhhhh… how about that Jace, eh? Actually, I really don’t care about the card. I’ve never even owned an Origins Jace, and I certainly don’t plan on buying in at $80. You’ll hear about the mono-blue mind master in much more detail from several of my colleagues this week, so let’s move onto something much more interesting. You know what? Let’s check out “today’s most interesting cards” from this past Monday, because that sounds like a fun day that I definitely picked at random. Oh, darn. According to my ProTrader email, nothing interesting happened that day… OH, WAIT. So that finally happened, although I don’t think it’s a coincidence that last week’s article was literally all about Spawnsire of Ulamog and why I thought it was a good spec target at $3. 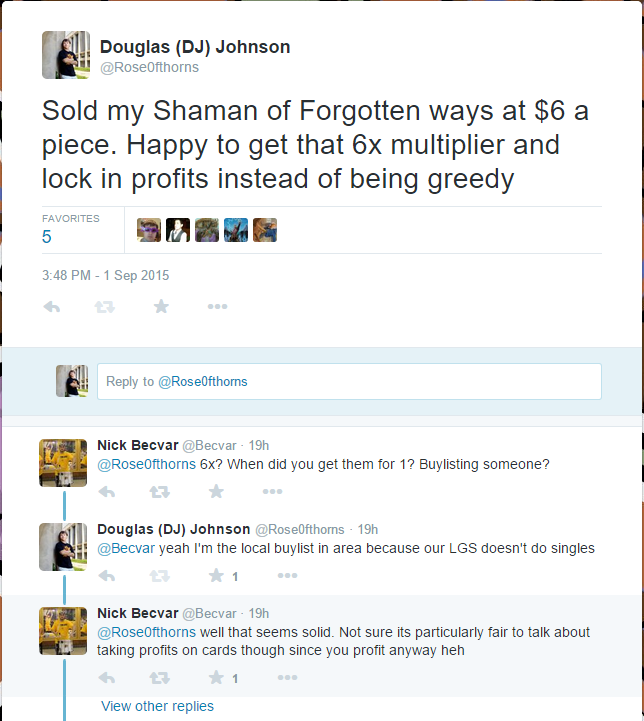 When I wrote that article, the card had crept up to $4, and I even advocated *not* buying in anymore if you were trying to make a profit. Parroting last week, buying in at $4 means that you’re hoping for the card to hit $8 or $9 before you can start to see worthwhile and noticeable margins. As a personal rule, I don’t buy unless I’m confident in my ability to at least double up. As you can see by the pictures and timing of the whole thing, my article looks like it was the final stroke required to convince some number of people to buy the last 30 or so copies that were available on TCGplayer, and the half dozen left on eBay. I seriously doubt that these people are going to make any money, if it’s any consolation to you. My hope for the rest of this article is to show two things. First, I want to be as transparent as possible about all of my suggestions to speculate on Spawnsire, be clear exactly where I made money, when and how I bought and sold each of my copies, the areas where I went wrong, and how I would change my approach in the future. Second, I want to explain the concept of the greater fool theory, a topic that Jason Alt first intertwined with MTG finance a couple of years ago back when Theros first came onto the scene. It’s been a little while since then, so I’ll provide a refresher. Alright, let’s take a trip down the magical mouse-wheel and scroll back to about five weeks ago. 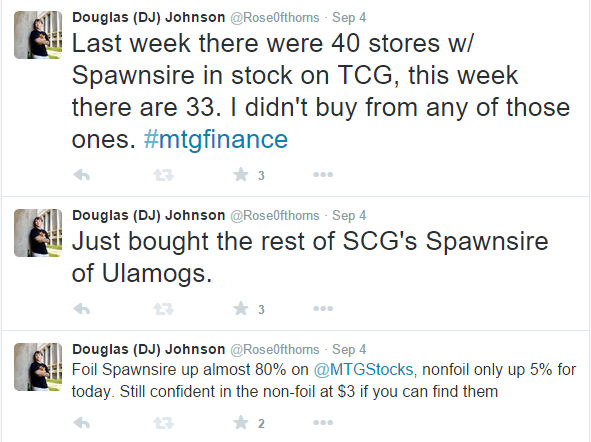 August 30 was the first time I mentioned Spawnsire on Twitter. I subsequently grabbed a dozen or so copies on PucaTrade, because I very rarely buy into a spec target with cash. Most of my “speccing” comes from buying large collections or lots of singles at buylist or below, and setting aside the cards that I’m anticipating will go up for later. While I don’t always get the quantity or card that I’m specifically looking for by using this method, I’m almost guaranteed to not lose money in the long run if the end result is different than my vision. Fast forward to September 4. I noticed on my daily check of the MTG Stocks interests page that the foil version of Spawnsire had doubled, seemingly out of nowhere. 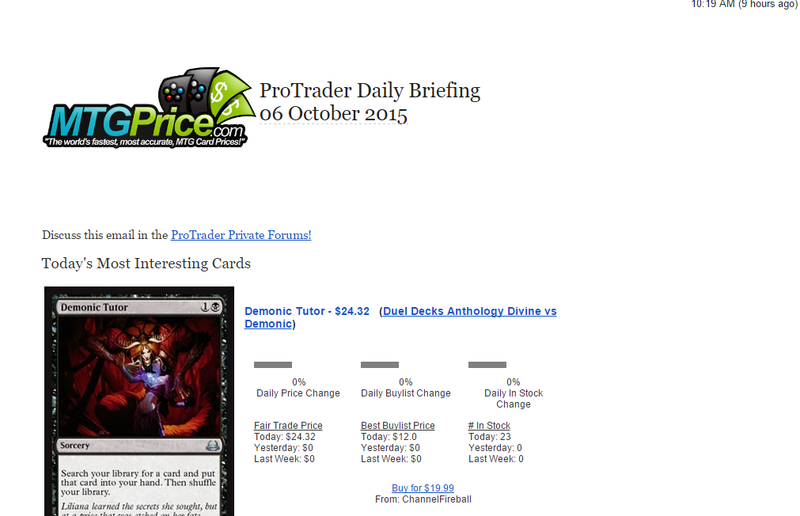 I didn’t own any foils, but I did see that the non-foil was still hanging around the bottom of the interests page. 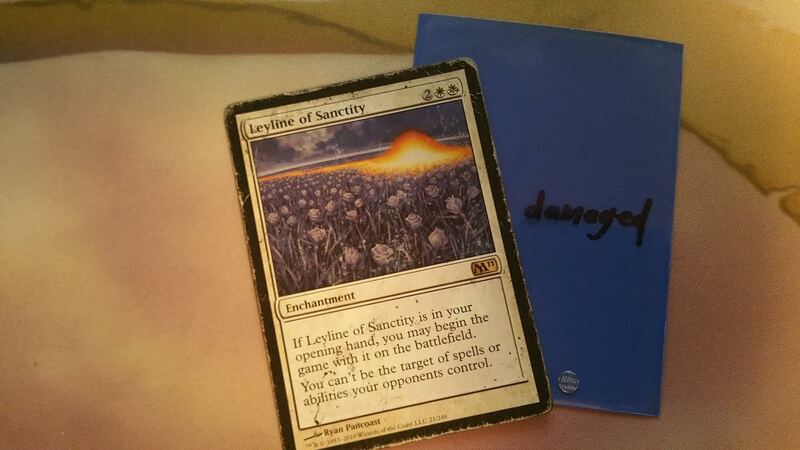 At this point, I was very confident that the card was primed and ready to spike within a couple of days, following the trend of the foil. I bought the copies that you read about in my article last week from Star City Games, because I saw a perfect storm of reasons to pick them up there: SCG was the cheapest place to buy, I could get 36 copies at once, and I was guaranteed that they would ship. I continued to check the stock on TCGplayer for several days, and it continued to teeter anywhere from 33 to 50 sellers at any given time. There were stores listing new copies, and then they would get eaten up, although I’m not sure if that was the work of non-competitive players looking for their copies, or speculators following the feed of information that I was providing. And here we are about a week after I bought my copies from SCG. Unfortunately for me, they simply restocked another 40 SP copies a day or two after I cleaned them out, so it meant that there were still a lot of casual players who would need to pick up their Spawnsires at $3 to $4 before I saw any sort of profit. I didn’t want to buy anymore than I already had to force the market to move. Getting rid of 50 copies of a casual card that was likely only a one- or maybe two-of of in a deck was hard enough, so I held back. In hindsight, I should have also tweeted here that SCG still had 40 copies in stock. I focused too much on the TCGplayer and eBay stock affecting the price, and should have tweeted back on the 13th that SCG still had a bunch of copies, and that they were probably the place to buy them if you needed Spawnsires to play with. 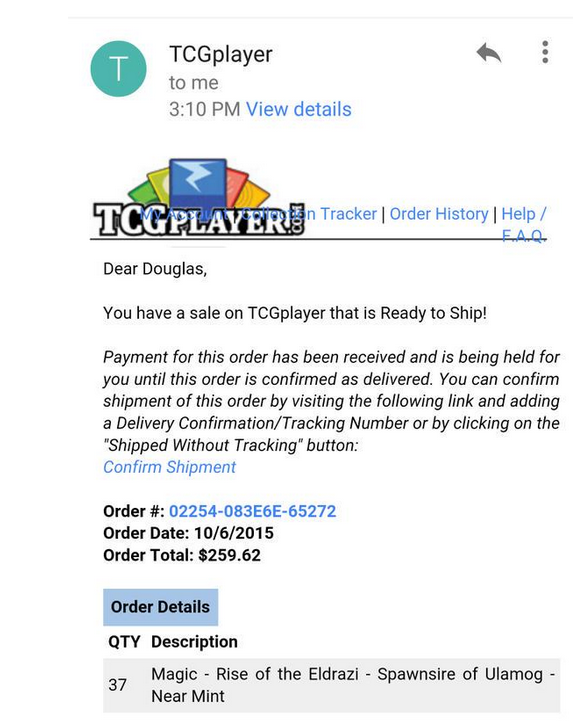 That was my last tweet before the last of the supply on TCGplayer and eBay disappeared on the evening of October 5. I really wish I had written my last week’s article three weeks ago so that it didn’t coincide with the actual release date of Battle for Zendikar. 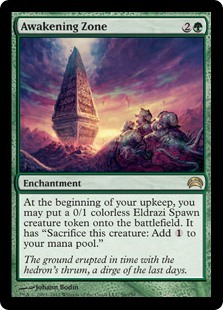 I would be interested to see if Spawnsire’s available supply decreased at a similar or identical rate without my article, simply because of the set release allowing casual players to get their hands on Battle for Zendikar and start crafting their Eldrazi decks. Similarly, I wonder if my article would have been enough of a match in the powder keg to spark a buyout three weeks ago, without the set being released in the same weekend. As things played out, though, I think it was the combination of both factors that made the buyout happen. Now, let’s take a look at what I did that night as a result of the buyout, regardless of who bought the copies that started it. This screenshot was taken on the night of October 5. As you can see by checking your own TCGplayer mid prices, Spawnsire has settled since then at around $6 to $7, right where I was hoping for. Immediately after I noticed this jump, I went to TCGplayer and listed my own copies. I put up 37 NM copies for $6.99 (if you’e been keeping track, I only got 15 or so NM copies from PucaTrade. I graded all of the 35 SP copies that I got from SCG, and I personally felt that almost half of them were NM. SCG’s grading system is extremely rigid). I also put my 17 SP copies up for $6.49 and crossed my fingers. While I waited to get lucky and hopefully sell some Spawnsires into the hype, I went to SCG to see if they had been bought out as well. 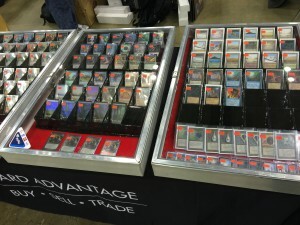 Did the instigators of the buyout really grab all 40 of SCG’s SP copies? Well, not exactly. While the cheapest copies of Spawnsire on TCGplayer were my own at $6 to $7 and eBay was completely empty, SCG still had 40 SP copies on their website sitting at $3.35 each. Huh. While this is definitely a risky move and I wasn’t sure if I would be able to sell all of these, I felt that I would be able to slowly move them on TCGplayer or through trades at $6 to $7 a piece, eventually making a strong profit. It would take a while and tie up my money, but I didn’t really put a lot of time into thinking about it. I was concerned that someone else would snap them up before I did, so I hastily jammed them all into my card and swiftly made it through checkout. Well, alright then. Either this person knows something that I don’t, or he has a really weird thing for tentacles. One person bought out all 37 NM copies for $6.99 each, so I suppose that solves one of my problems. Obviously no player buys 37 copies of a single spell that’s not a Shadowborn Apostle or Relentless Rat, so this is a purchaser looking to make money. I’m assuming that this person doesn’t read my articles, because I suggested the exact opposite of what this party did. If you buy in at $7, then you’re looking for Spawnsire to hit $13 or $14 before you sell, and you plan to sell 37 of them at that price? According to the greater fool theory, irrational buyers will set the price of a commodity when that thing’s price is not driven by its own intrinsic value. In this party’s mind, they’re not the fool. They’re going to sell to some other guy who’s a greater fool. The problem here is that you’re assuming that person exists, and that the market will still be as volatile as it was when you bought my copies. I’m shipping those Spawnsires out on Wednesday afternoon, so the buyer probably won’t get them in the mail until Monday. Do you still think Spawnsire is going to be $10 on Monday? Hell, it dropped below $10 already, and it’s probably still going to be $7 when this article goes live on Thursday. When I bought Spawnsires three weeks ago, I had a choice when I saw the spike happen. I could either sell them immediately by racing to the bottom of TCGplayer (an option that I only have because I had the luxury of having copies in hand from three weeks ago), or I could take a greater risk and try to predict that the price would stay at $10, $11, or predict that it would go to something like $15. The choice I made is pretty obvious: I took the safer route. Move the cards, lock in the profit. The party buying my Spawnsires had a different set of choices. They could either buy my $7 copies, hoping to sell them for $10 or $15 as soon as they get them in the mail (what they did), or they could stay out of the game entirely. The bus already left the stop, and this guy is trying to take the elevator to the fourth floor of his apartment building and parkour from the top of a roof to land on top of the bus, all so that he can hand out free Spawnsires to all of the little boys and girls. I didn’t feel confident that my copies of Spawnsire would be able to sell at anything above $7. More specifically, I didn’t expect any fools to come along and believe that there would be any greater fools to buy at $15. Unfortunately, I’m still not out of the woods yet. I have to sell the 40 copies I’m getting from SCG in the next week, and that’s going to take, uhhh… a while. Only one buylist has hit $4 as of right now, and I doubt there will be many that go above that. In hindsight, buying these additional 40 wasn’t the best move, but at least I won’t lose money on the purchase. Let me know what you thought of my article through Facebook, Twitter, or in the comments section below! One of the downsides to my articles being published on Thursday means that I’m usually pretty late to the party for any Magic news that was shown over the weekend. For example. I was going to spend a few solid paragraphs thoroughly expressing my disgust for how Wil Wheaton butchered the Battle for Zendikar preview show at PAX, but I’m not even going to attempt to hold a candle to Travis Allen’s beautiful explanation on how much of a vomitfest that was. Seriously, if you were thinking, “Maybe I should watch the preview show. Seeing a dumpster catch on fire has no value to the world, but it’s kind of entertaining…”, then forget about it. Don’t give them your clicks or views. Just go be entertained and informed by Travis, then come back here. Wizards of the Coast, if you’re reading this. Hire literally anyone else to do the preview show next time. Pick a random guy or girl out of the crowd, and let them do the preview show with flashcards or a teleprompter. It would have been better than the middle-school presentation that I had to dredge through. The only things that kept me remotely interested in the show were spoiled cards, MaRo’s interesting design talk, and this guy that I’ve circled in the below image. 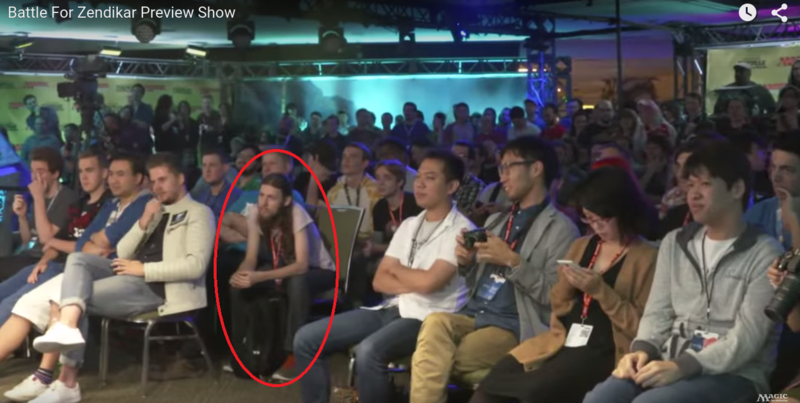 Every time they panned back to the crowd, this guy was sitting in that exact pose, giving off that “yeah, I’m not gonna clap for this bad meme personified, just give me the damn spoilers” vibe. Mystery crowd member, you are my hero of the weekend. You know what? Forget it. There’s a clever joke in there somewhere, but I’m not going to sit here for twenty minutes and try to figure out what it is. I’ve got Magic cards to write about, not subheading puns. Anyway, the point is that with Battle for Zendikar quickly approaching, I think it’s time to look back at a few of the older Eldrazi and get in on them before any hype starts to lift them up off the ground. I want to look for safe targets that aren’t likely to plummet any time soon, and some of them will definitely be longer-term holds. While BFZ won’t be the “Eldraziest Eldrazi set that ever had Eldrazi” as DTK was with dragons, I still think there are some safe pickups and holds that have room to grow. 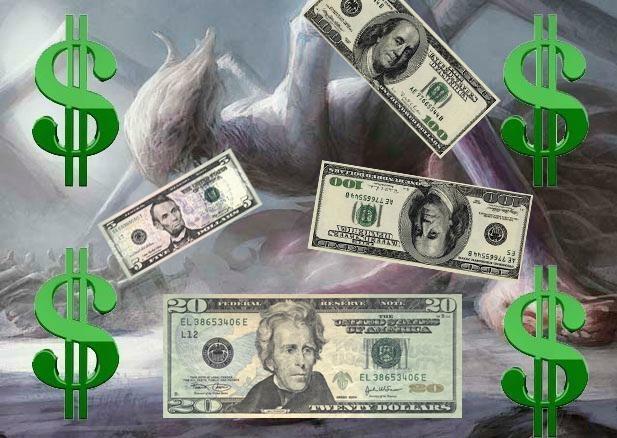 A lot of the dragons that picked up the price pace weren’t even good in EDH, but were just being purchased by casual players who enjoy slamming big, fire-breathing threats onto the table. We’re going to look at a few parallels here in the old Eldrazi set. At only $3, I really like Spawnsire of Ulamog as a pickup. It dodged all reprints up until now, it makes a lot of mana dorks, and the last activated ability is perfect for both Timmy and Johnny to get excited about. The annihilator 1 is pretty irrelevant, but who cares? We’re casting every Eldrazi ever. Spawnsire gets a whole lot of new tools with this set, and I don’t think he needs to see competitive or EDH play to get up to $6 or $7 on casual demand alone. SCG is out of stock on NM copies at the moment, but has plenty of SP/MP. 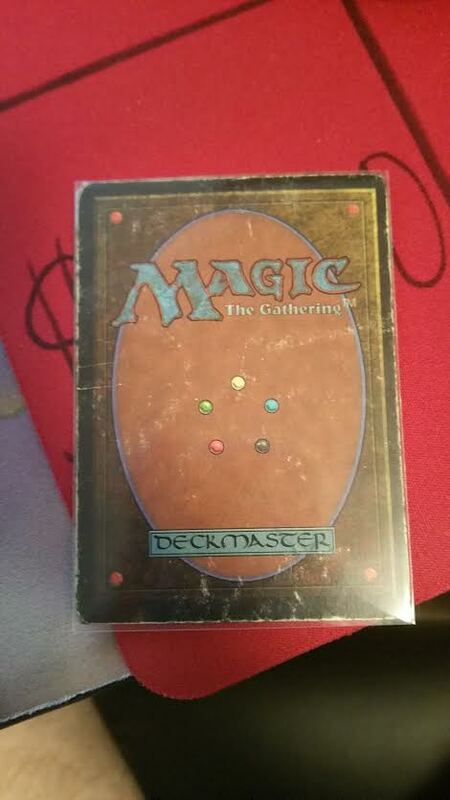 eBay is practically dried up of non-foil copies, and there are still quite a few on TCGplayer. Maybe this doesn’t pick up until casual players start cracking packs and building decks, but this is a card I’m very bullish on. You don’t see me pick out spec targets very often, but this is one of them. I’ve heard some rumors and suggestions on Eye of Ugin recently, so I wanted to clear the air with my thoughts. Eye of Ugin just got reprinted into dust because of Modern Masters 2015 by being rare instead of mythic, and you only really need one, maybe two in a deck. I’ll admit that I almost had a heart attack when I considered using it with the devoid mechanic, because Forerunner of Slaughter is technically colorless… but you still need to pay colored mana to cast it. Maybe there’s still something there, though. It makes you only need one black mana to cast Dominator Drone, and if you’re in black then you can run Urborg to let Eye tap for mana… I don’t know. Maybe I’m crazy. 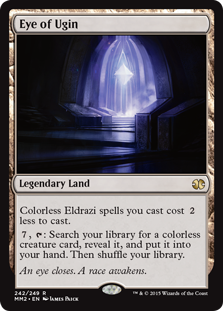 Being able to tutor for “colorless” devoid creatures isn’t irrelevant late-game, but there’s just so many copies in supply right now. I’m calling Eye a hold for now, because I don’t want to give up on the possibility that there’s a really cool interaction in the set that we haven’t seen yet. Awakening Zone has been creeping and crawling very subtly over the past couple of months. It’s easy to not notice a trend of a card slowly creeping from $2 to $3, and Awakening Zone has shrugged off two multiplayer product reprints over the years. It doubles as a repetitive token engine and ramp spell, and we could definitely see increased demand with the new Eldrazi. It’s always been a semi-staple in Commander decks that can make good use of the tokens, but additional casual demand could put it in the $4 to $5 range relatively quickly. Keep an eye on this one, but I don’t think we buy in at the $3 it is now. If you want to buy a $3 rare, go for Spawnsire. Just be ready to sell this off at $4 to $5 if it makes it there. I still think it’s a good trade target at $3, especially if you end up being able to move soon-to-be BFZ bulk rares. How the mighty have fallen. If it weren’t for the back-to-back reprints, I would’ve loved this as a pick-up. Everyone would have. Being dropped down to uncommon from rare basically kills any chance for this to be worth anything in the next ten years, so don’t even touch it, unless you’re picking bulk and basically getting them for free. Sell them for a quarter to all of the new Eldrazi players and enjoy the small demand bump, but don’t go hoarding them thinking that you have a master plan. 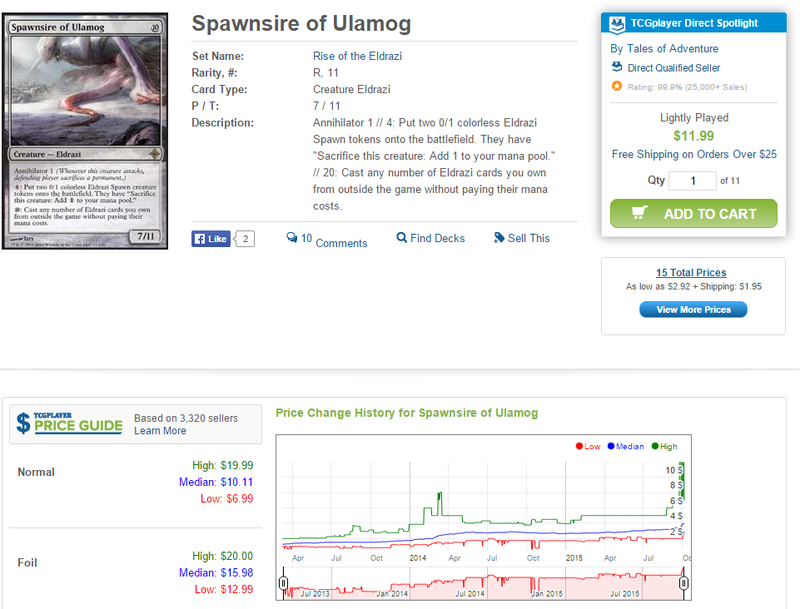 Did you know that Pathrazer of Ulamog is close to being a $3 uncommon? Yep, it’s worth almost as much as a Gitaxian Probe or a Boros Charm, and those ones actually see competitive play. I always preferred Artisan of Kozilek in my EDH decks because of the bonus reanimation and cheaper mana cost, but I suppose there’s something to be said about a higher annihilator number and pseudo-unblockability. At $3, though, I wouldn’t expect this to see any additional gains. 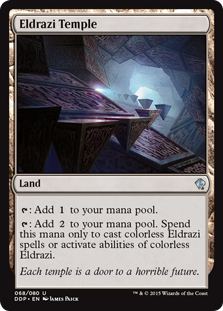 The rule here is identical to how you’re moving Eldrazi Temples: be happy with the new buyers, and don’t look back. Now, let’s step back into something more recent. Shaman of Forgotten Ways recently shot up to $8 off the back of pure, unadulterated hype, but there’s no actual decklists to back up the price tag yet. Because of that, I made the executive decision to list my copies on TCGplayer yesterday, and they sold in less than three hours. Nick is correct in that it’s not particularly fair for me to say that I sextupled up purely from speculation, because I paid buylist prices for them anyway back when they were $2 retail. I was just happy to unload them into the incoming hype, when I still haven’t seen a tangible decklist yet for any sort of green ramp containing the new Eldrazi. Mark Rosewater confirmed that Ulamog was the only titan left on Zendikar, so we won’t be getting Emrakul or Kozilek as backup (at least in this particular set). I’m curious to see if there will be anything else worth slamming down for 10 or more mana mana; if not, then See the Unwritten and Shaman of Forgotten ways could both very well crash and burn. I don’t want to be holding them when that happens. Do you have any pocket picks that you expect to jump up from the BFZ spoilers? Let’s continue the conversation below, or on Reddit, Twitter, or Facebook. I’m not picky. Man, I misuse quotations a lot. You wouldn’t know this if I didn’t tell you, but I didn’t actually document that quote from some local guy I know. I mean, people have said similar stuff to me over the years, but I probably shouldn’t use actual quotation marks for it. Anyway, what have we got to write about this week? Fetches? Boring. From the Vault: Lack of Linvala? I really don’t care. I’d rather continue on my track as a brilliant comedy writer who basically wrote A Modest Proposal in MTG finance form (it’s right freaking here, for those who haven’t read it). As much as I’d love to continue writing satire and reading the comments, I do kind of get paid to provide useful and actionable financial information about our lovable little economy. I’m hopping back to more of a Finance 101 topic this week, where we’ll go over card conditions and why you shouldn’t write off buying and selling slightly played (SP), moderately played (MP), and heavily played (HP) cards. Let’s go back to that opening made-up quote. This more often applies to Legacy, Modern, or EDH than Standard, where the prices on dual lands, fetches, and older staples are symbolic of there not being enough to go around. 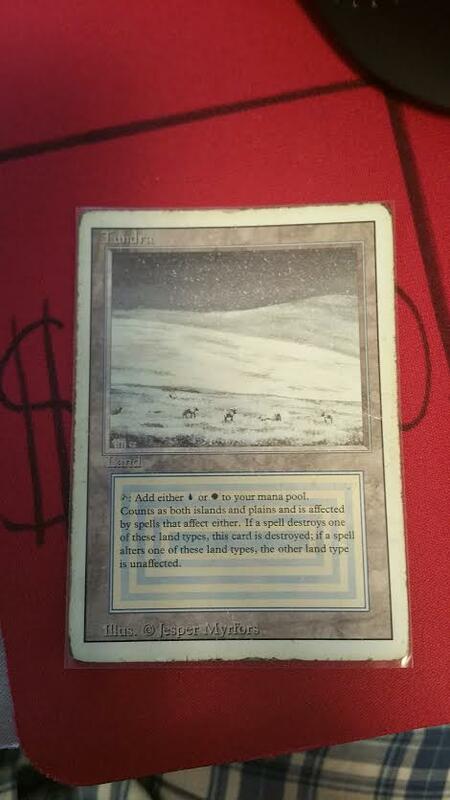 Not all of the original dual lands have withstood the past twenty years of wear, and the ones that have been used as sandpaper have a price tag to show it. As a result of this, players on a budget who just care about the end result of finishing their decks are more often than not willing to sacrifice card condition to complete that goal. Well, Mr. Stereotypical Devil’s Advocate Who So Many MTG Financiers Invoke in Their Articles, I’ll tell you a few things that you can use to take advantage of in the field of less-than-NM cards. StarCityGames.com gets a lot of flak for having singles that are often priced slightly higher than the rest of the internet, but I’ve never seen a more strict grading system in action when ordering cards from the company. Last year, I ordered 40 copies of Ghave, Guru of Spores from SCG. Ten of those were NM and 30 were SP, and I paid 50 cents less on each of the SP copies. When the cards arrived, I couldn’t even tell that some of them were SP. I ended up grading around half of them as NM, and sold several on TCGplayer and out of my local display case as NM with no complaints. If you’re ever looking to go deep on a particular spec target, I highly recommend checking out the SP and MP sections of SCG. My local customers will tell you that I’m a tough grader, and even I had trouble finding marks on the cards that would justifiy them being slightly played. Another side benefit of ordering from SCG will be that you’ll be guaranteed to have your order shipped to you, with no concern over cancellation or shipping worries. Let’s say you have a card that you graded as NM, and you throw it up on TCGplayer. You sell the card, package it up, ship it out, you know the drill. You’re happy to have a sale. However, you get a message about a week later. The buyer is unhappy with the condition of the card because he found a nick or two that he believes knocks it down to SP. Now they want a refund—either a partial return on their purchase for the condition or a full refund with them shipping the card back to you. Sometimes they’re correct, and sometimes they’re just being too critical of a grader. Neither of those choices are very appealing though, and unfortunately, there’s not a whole lot you can do about it. If you’re new to Magic or to the seller’s side of the game, I recommend checking out TCGplayer’s condition guide for grading. While I think it might be a little bit too strict on the definition of LP or MP, it certainly gets the job done if you’re trying to successfully sell on TCGplayer or eBay. When trying to sell off SP and worse cards, it’s important to remember that some businesses don’t allow you to trade or sell them. 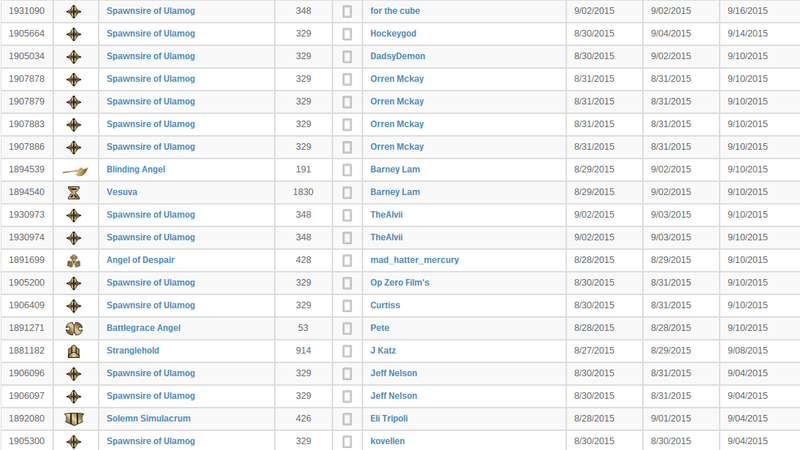 PucaTrade is a website where a lot of heated discussion over condition takes place. Some users don’t take the time to read the requirements of sending a card, and don’t understand that unless notifying their trade partner beforehand, it is not okay to ship out cards that are SP or worse condition while expecting the full point value. StrikeZoneOnline is a vendor with a buylist that only accepts NM cards, and grades extremely strictly. If you send cards that are even close to questionable on condition, StrikeZone will send you back the cards that they rejected and remove the cost of shipping from your payment amount. 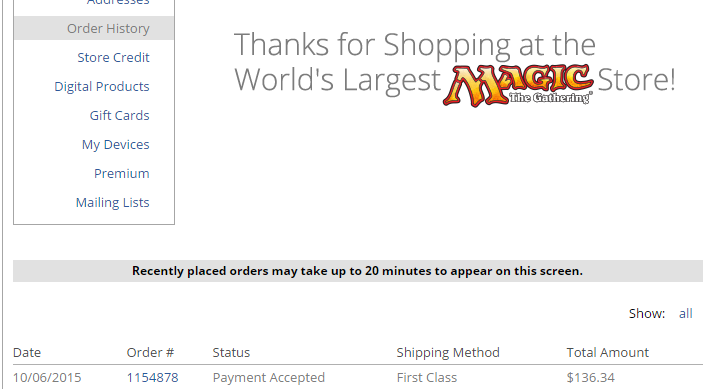 If you’re an inexperienced buylister and ship to them expecting to get a simple “condition discount” like CardKingdom offers, then you’ll end up very disappointed. StrikeZone will almost always pay top dollar on foils if you keep your eye out on their graph line on MTGPrice, but you need to be sure that there’s absolutely no clouding, smudging, or edge wear at all before you send the company cards. Interestingly enough, I’ve found StrikeZone’s grading system to be much more lax in person when I sit down to sell to them at Grands Prix. I don’t know if this is because it’s harder to be strict when you have someone sitting across from you to dispute your grading, but I’ve definitely shipped the company SP cards in person and been paid in full. It seems like every time I write an article, there’s at least some mention of Commander or Cube. 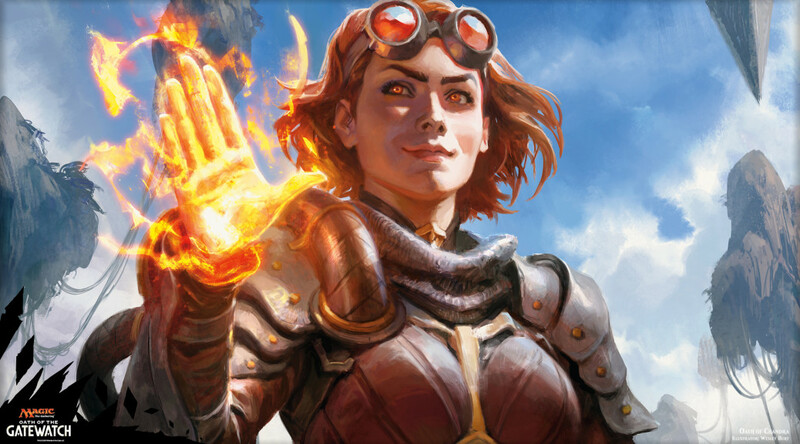 These two formats allow for some of the most unique personal expression in Magic, and have some of the more interesting house rules or restrictions when building, so it’s no wonder that financiers can end up finding unique ways to cater to these types of players. I once attended an SCG Open and spectated a draft where a player had a cube composed of entirely HP or worse non-foil cards. He didn’t want to pay the full price to obtain his otherwise expensive cube, so he decided to make a game out of building the cube itself, while at the same time helping the cube be more affordable. The Jace, the Mind Sculptor in that cube looked like it had been used to paint somebody’s driveway, and certain text boxes weren’t even visible anymore. 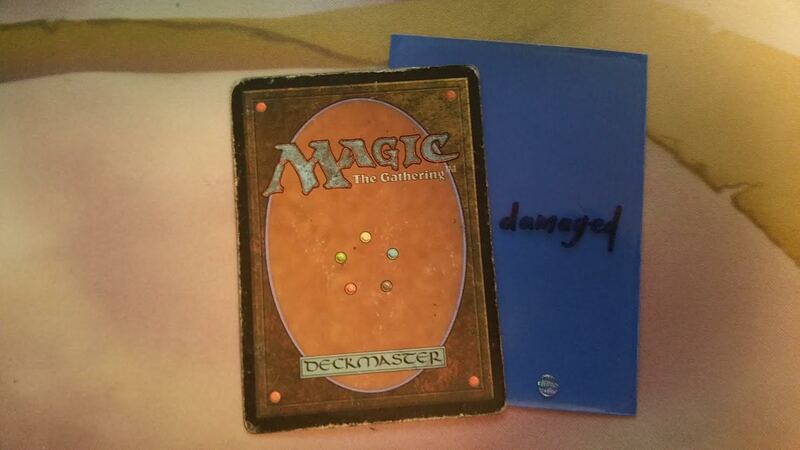 However, he proudly explained that he had only paid $40 to a vendor that was dying to get rid of it, as he ticked up the loyalty on a card who’s initial loyalty placement in the bottom right had been peeled away at some point. If you’re trying to build a budget cube without dropping the power level to commons and uncommons only, then this might be your way to go. Challenge yourself to only include cards that you find in the parking lot, or something to that effect, and you’ll be done in no time. While I’ve never actually seen someone do the same with a Commander deck, it could certainly be done, and it would be a much cheaper alternative that comes with a story every time you sit down to play it. If you’re a fellow Redditor and looking to see some of the most destroyed cards that Magic has to offer, I recommend indulging in MTGgore. 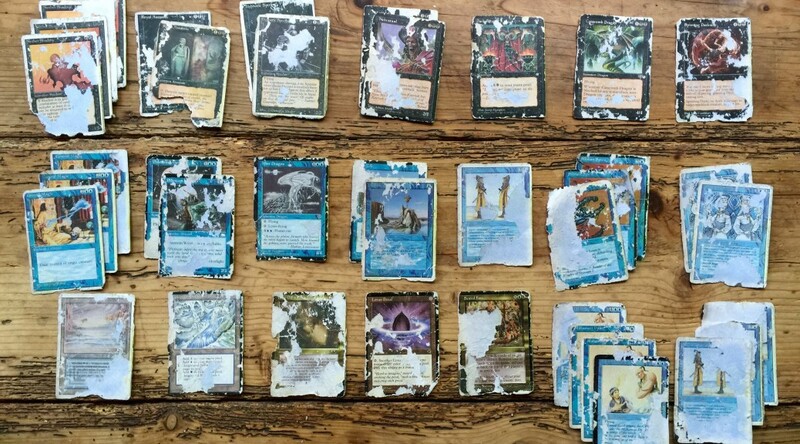 While a “flip it or rip it” phase seems to have taken over a little bit, there’s some sort of sick pleasure obtained from looking at picture of a Legacy deck that just went through the wash. It’s like watching a dumpster fire: there’s no value to it, but you just can’t look away.